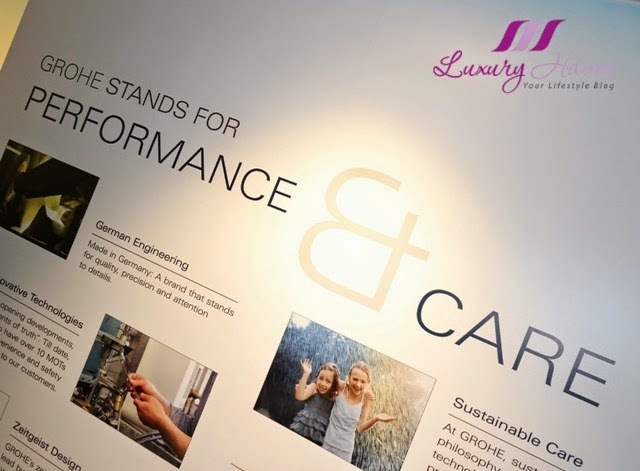 Quality, technology, design and sustainability - that's the brand values that #GROHE carries! 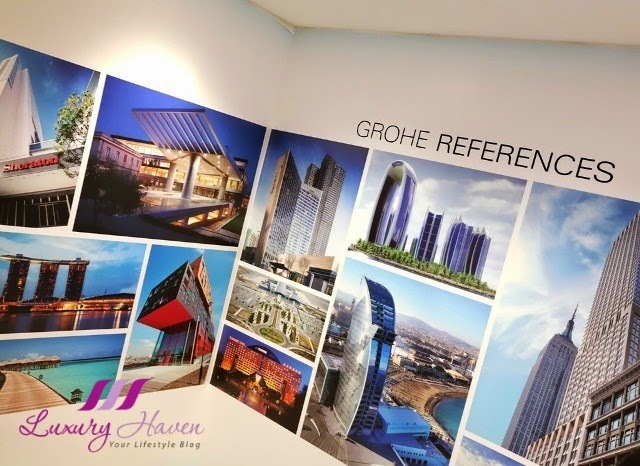 GROHE AG is Europe’s largest and the world’s leading single-brand manufacturer and supplier of sanitary fittings, and I'm glad to be part of the recent invitation to preview GROHE’s latest innovations in digital bathroom and kitchen technology; an eye-opening experience! 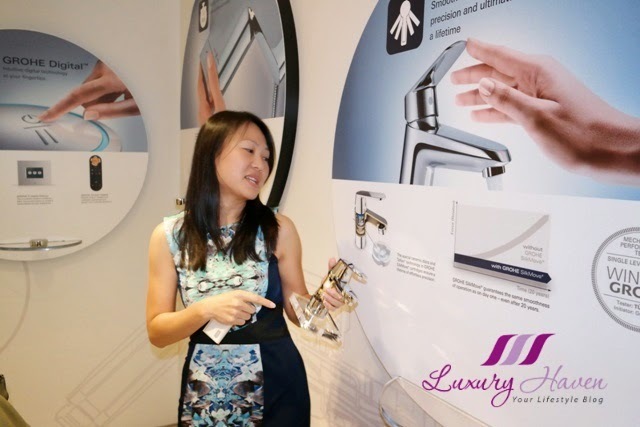 The evening provided us a peek into GROHE's showroom at Haw Par Centre spanning 5,700 square feet of distinguished and award winning products, learning more about the modern technology in sanitary fittings. 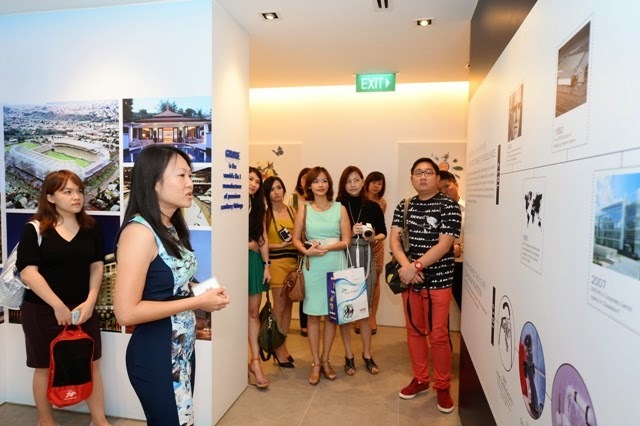 Our tour was led by Ms Chai Fong, GROHE's Marketing Manager, who took effort in explaining to us the technology behind their creations. Everything at GROHE comes with a seal of exceptional quality. GROHE stands for performance and care, so you can be assured its quality at its best with the German brand! Boasting the absolute finest quality, GROHE DreamSpray® incorporates innovation that helps you to enjoy an unparalleled showering experience. The advanced shower engines inside the shower head deliver utmost precision and consistent water distribution to each individual nozzle. 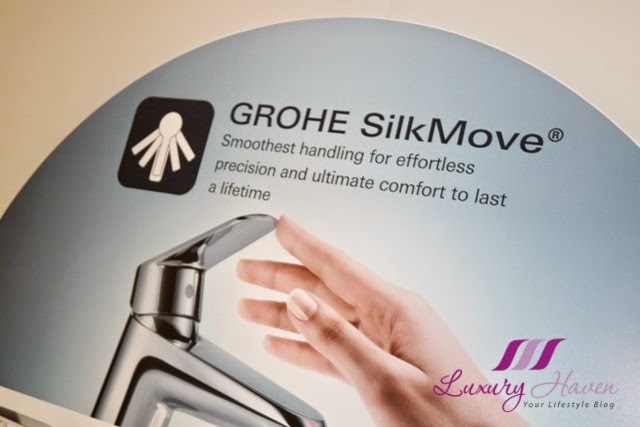 Only GROHE mixers deliver the unique GROHE SilkMove® experience. 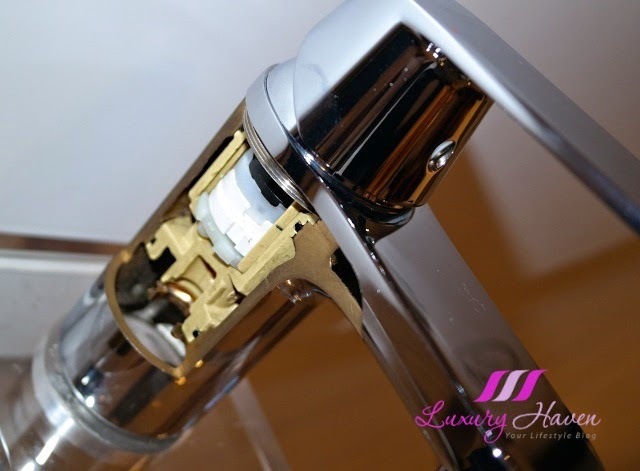 The rich, smooth handling of the single-lever mixers perfectly expresses the quality and superiority of their brand. The GROHE Digital® technology brings simplicity to the bathroom. Intuitive user icons allow the user to easily pre-program their preferred combination of water temperature, flow rate and duration. 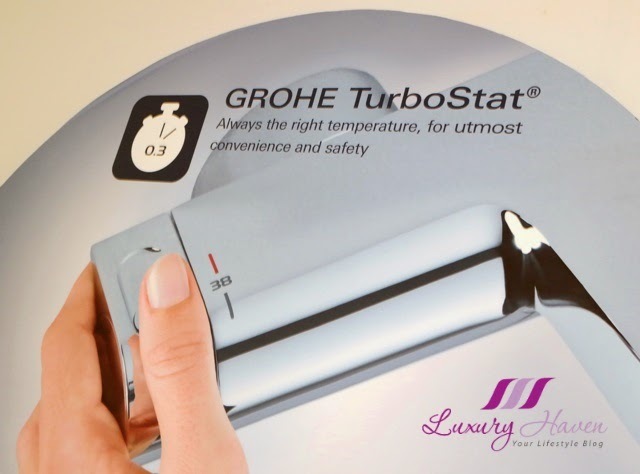 The award-winning GROHE TurboStat® technology delivers water at your desired temperature within a fraction of a second and keeps it constant for the duration of your shower. 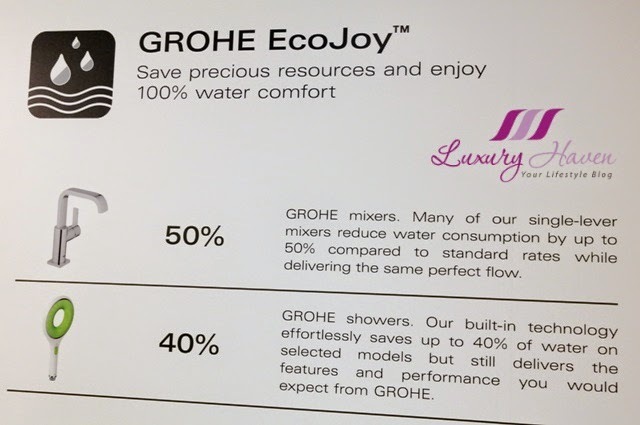 Save precious resources and enjoy 100% water comfort with GROHE EcoJoy™! Do you know that GROHE is the only manufacturer offering a full-spectrum of water-saving products – for bath, shower and sanitary installation? 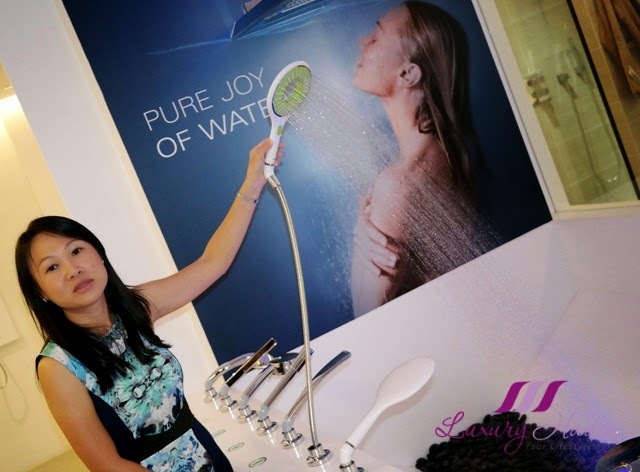 After all the fun facts behind GROHE's technology, we were off to check out their products with some live demo! Featuring GROHE EcoJoy™ technology, their cisterns and flush plates facilitate effortless water saving too! I thought the Nova Cosmopolitan Light is pretty awesome! 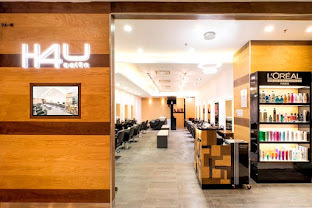 Mains-powered LED technology allows you to set the light to any colour – blue, green, red, yellow or one of the many tones in-between, You can also have a constantly changing spectrum! Now, that's what I called STYLE! With GROHE, you can even choose your favourite Flush Plates in a Choice of Designs and Finishes; plain and printed glass, natural wood finishes and more! Some of us were perpetually gazed in awe of their bathroom features. While the GROHE F-Digital stirs a quiet revolution in the bathroom, the GROHE Power&Soul puts control in your hands with desirable DreamSpray® patterns! GROHE head showers come in all shapes, styles and sizes – each one designed with your satisfaction and enjoyment in mind. Do you know that GROHE carries a body care and home fragrance collection to complete your home spa experience too? Tease your olfactory receptors – infuse the air with scented oils, candles or incense to nourish your mind. 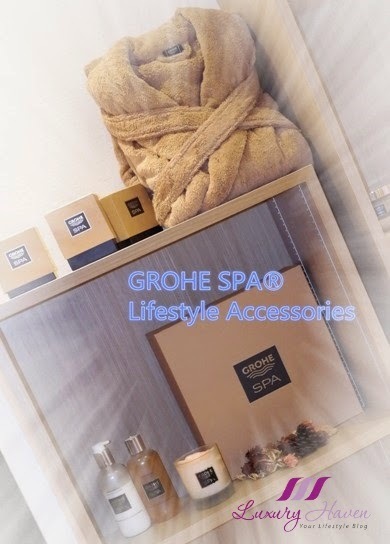 Made from organic seaweed, hand-harvested from the wild Atlantic coast, GROHE SPA® Lifestyle Accessories Collection will tantalise your skin and awaken your senses with its invigorating blend of lime, orange, grapefruit, ylang ylang and cedarwood essential oils. 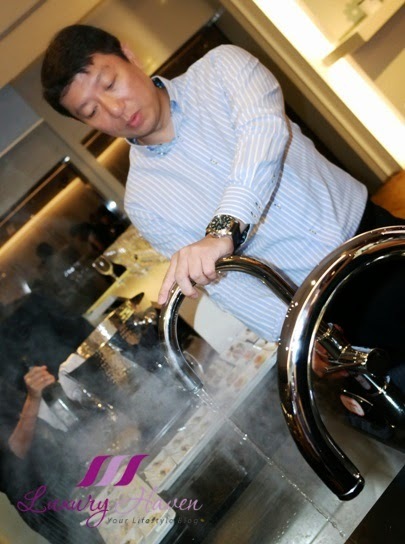 Next, catch Mr Alpha Ang, VP of GROHE Pacific, giving us a live demo of their kitchen faucet! GROHE brings convenience into your kitchen with their GROHE Red® boiler system - it's instant hot water straight from the tap! GROHE Red® consists of just a fitting and a boiler which can be installed unobtrusively and compactly under any standard sink, making water boilers and kettles a thing of the past. What impresses me most is the GROHE EasyTouch, which lets you turn the water flow on and off with just a touch without using the lever if your hands are dirty. Since I spend a lot of my time in the kitchen whipping up dishes, my faucets will still stay clean with this technology even though my hands are soiled! 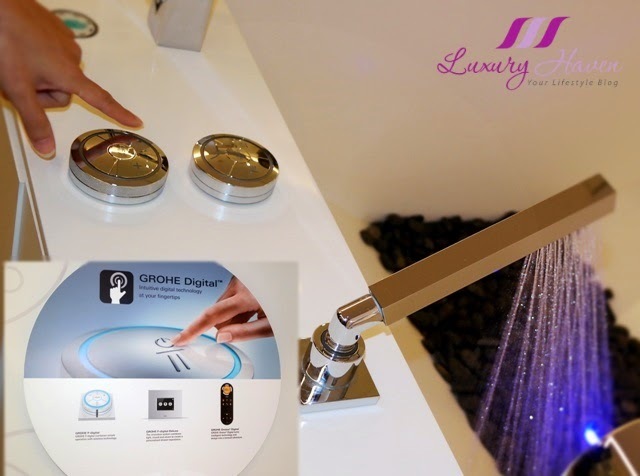 After watching the clip, are you amazed with GROHE EasyTouch? Just one tap of the Minta touch with the back of your hand, wrist or forearm is all it takes to turn it on or off, thus keeping the faucet clean and hygienic at all times. 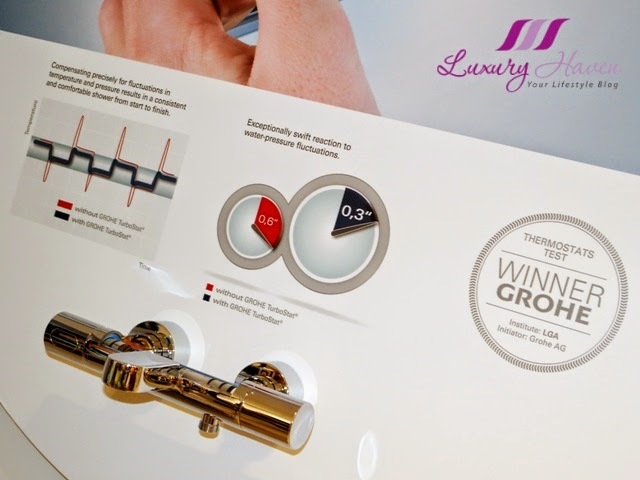 I'm already dreaming of having the GROHE Minta in my kitchen, the top-seller in the kitchen fittings market! 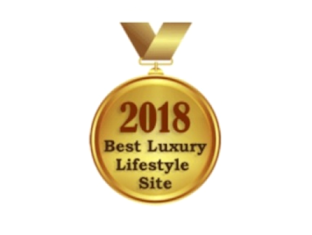 Thanks to GROHE, readers of Luxury Haven will get a 20% discount off their desired regular priced GROHE products (with no minimum purchase required). To use, simply present this print out or flash voucher on your mobile phone for redemption. * Expires on 31 December 2014. What's your Dream Bathroom like? Well, readers can now get a chance to take home a part of their dream bathroom with the GROHE Bathroom Accessories! Hop over to Grohe, Holy Grail of Dream Bathrooms + Giveaway Worth $321 to submit your entries! Liz, hahaha! That's a good one, dear! Great item to make the home more functional. Jackie, indeed a fabulous brand for bathroom & kitchen accessories! Aitana, thanks & happy weekend! 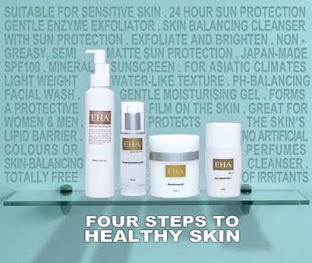 Great products and perhaps will continue when I need to refurnish my house in the near future. 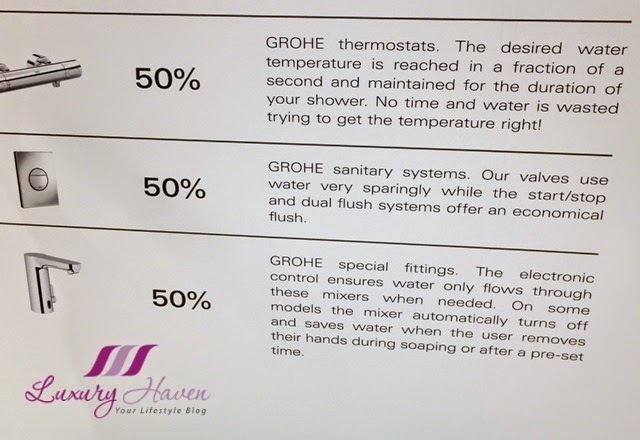 Nava, hope you'll find some good buys over at Grohe! nice! followed you back on gfc now. thanks. keep in touch! Rae, thanks & have a wonderful week ahead! Awesome! Very informative post Shirley! 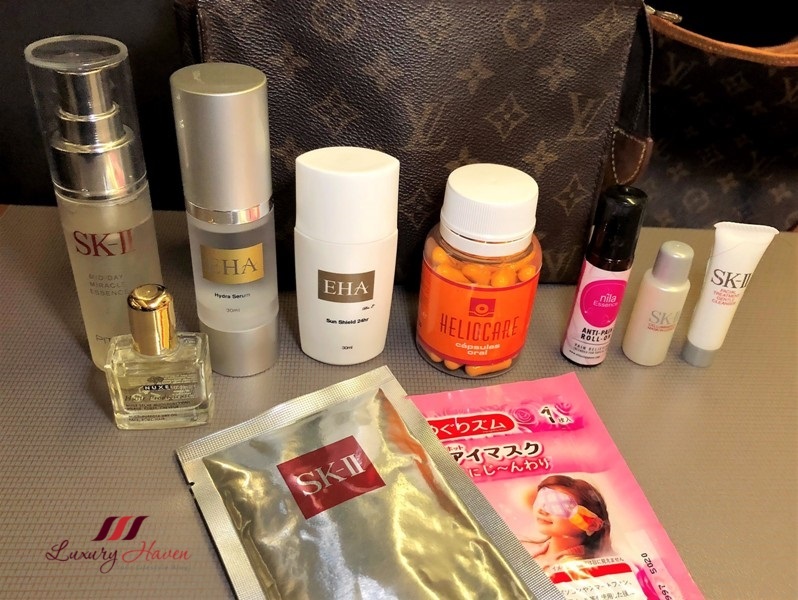 A very in-depth discussion on the products too! Gabrielle, thanks dear! I rarely attend events actually as I'm rather selective, but I couldn't resist this one. Hahaha! 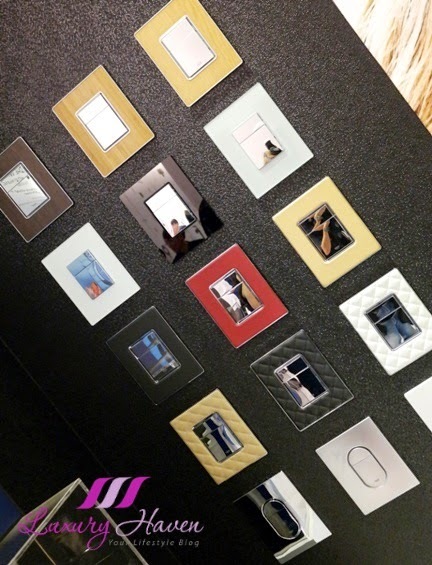 cool products for your home. Have a great weekend. Oh my gosh I want a pink shower too!!!! Anna, such an indulgence! Hahaha! Thanks for the sweet note & most delighted to follow you! I got to know Grohe products when I was fitting my bathroom but very expensive. Thanks for the discount. 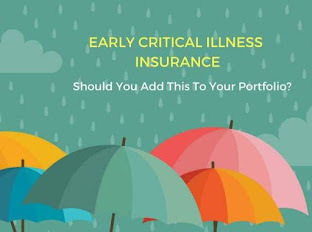 Will be very good for people who are buying. I love the shower heads!! Great post! Ooh, I want a bathroom just like that one in the last photo! Carmen, thanks for reading dear! Wow ..that is so cool! Makes standing under the shower feel so therapeutic. I love the shower-head...absolutely. 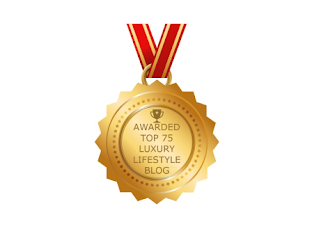 Sharon, absolutely love the sight, sound & the sensory touch of their products! 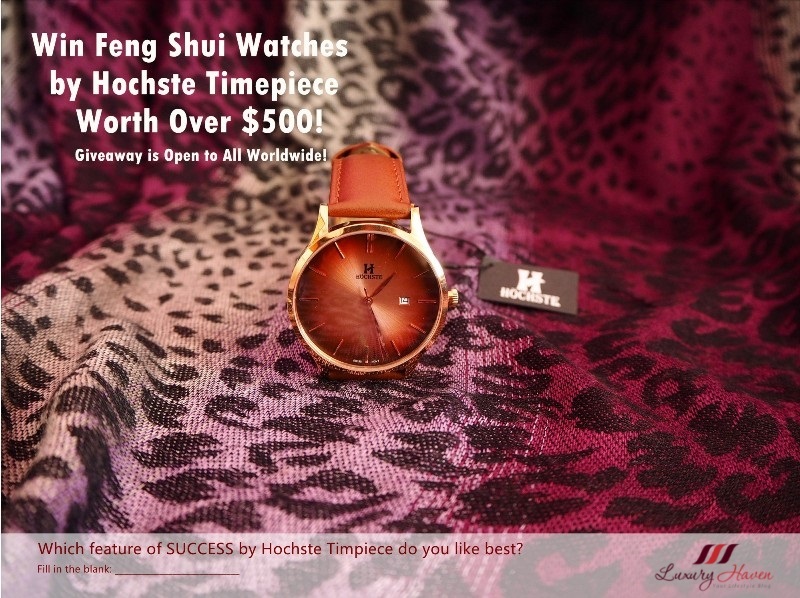 Ania, glad you like the products as well! Lately, I have been looking up for sanitary fittings to replace the old ones. Will check out this brand, Shirley. I would have lived to browse around and get inspired! Kati, thank you too for all your lovely comments & kind notes! Have a beautiful week, hun! That is an amazing shower. 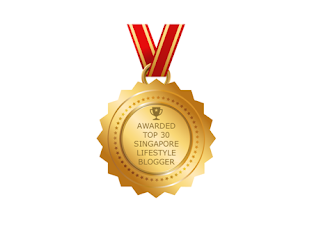 Linda, thanks for coming by & will pop by your blog soon! 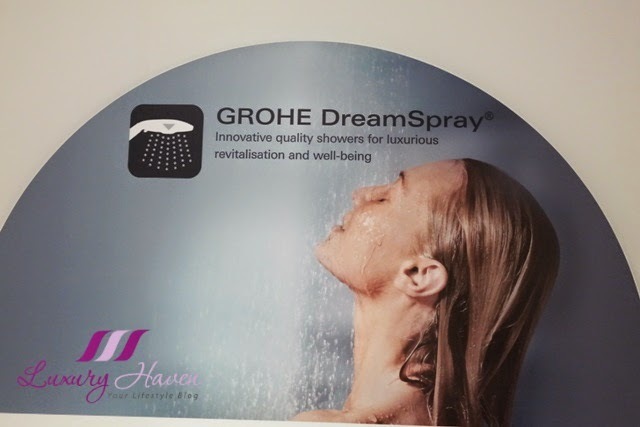 I always see Grohe products in hotels, it will be quite the luxury to have one at home. 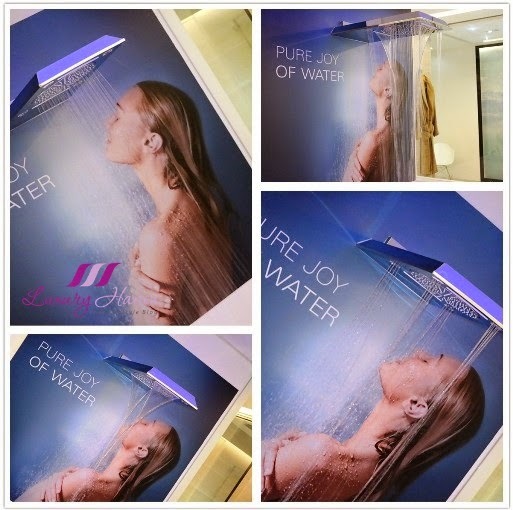 Especially their rain shower :) Thanks for sharing the product info and discount! 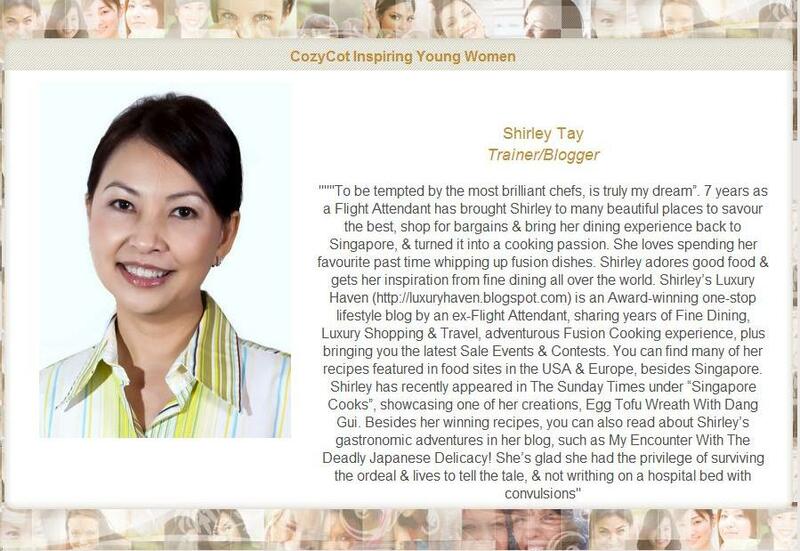 Thank you for sharing, Shirley! I love bathrooms and kitchens. Looking forward to your dream bathroom post. Have a great week! Jasmine, those are few of my favourite areas in my home too! Thanks for reading, dear! Elena, awesome! Have a fabulous week, my dear! Great post! 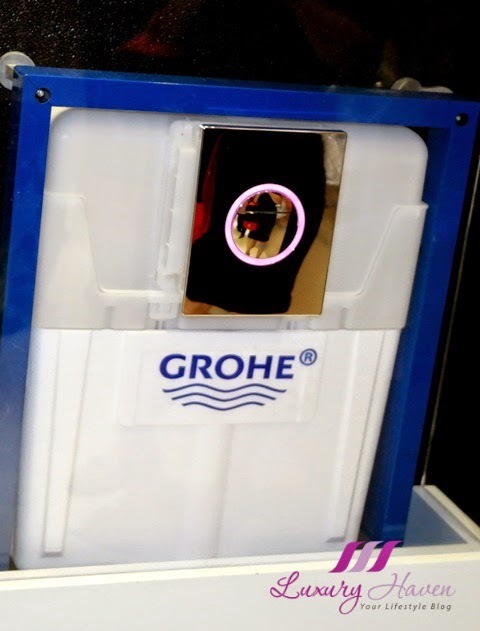 GROHE has fantastic and Innovative products! !